The best need not be expensive! With Clear Choice Technical Services, you get best price guarantee for world-class copiers. Our leasing and rental offers fit any budget and our payment options are so flexible. 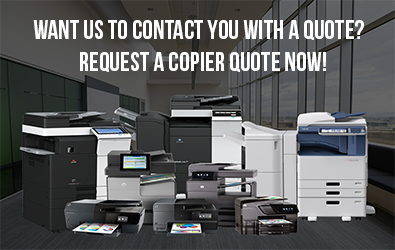 This is your chance to get the right copier for your office/business at a price you can easily afford along with superior maintenance service to guarantee all-time machine efficiency. When we invest on new office equipment, we do our best to select the toughest and most efficient machines. We expect them to perform as much and as long as we believe machines should. But copier machines are subject to rigorous work at very long hours. Regardless of its brand, it will give in to wear and tear. When signs of deterioration get neglected it can lead to equipment breakdown. Downtime can be very costly. Whether repair or maintenance, you can rely on Clear Choice Technical Services to provide a quick solution to your problem. We service almost all brands and our expert services come with full warranty. Our maintenance service agreement can also give you the greater leverage that your business needs. 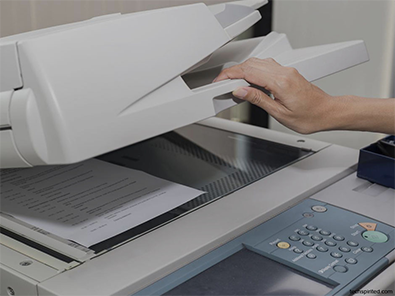 Our certified technicians conduct routine visits to fine-tune our clients’ copy machines to ensure all-time efficiency. Labor, machine parts, and consumables are already included in this affordable package. None of our clients’ businesses suffer from downtime due to equipment malfunction or running out of supplies. With better document management and optimized workflow, they become more productive and competitive. Get more savings through our copier leasing offers which come with affordable prices and easy copier upgrade! You get to choose from the world’s most prestigious brands and the payment option that best suits your budget. You will also be provided the best maintenance service and regular restocking of toner and other consumables. There’s no way your business will experience the costly inconvenience of lack of supplies and equipment trouble. Or perhaps you need a copy machine for just a number of days or weeks. You’re welcome to choose the right copier from our company. You will also receive your supply of toner and best technical care — but without the hassle of a contract! That’s how convenient our copier rental is! Clear Choice Technical Services is one of the top service providers with more than 60 service locations in the US. Our highly-skilled technicians number more than 6,000 who service our vast clientele with unrivaled speed and efficiency. All the products and services that we provide are premium quality, budget-friendly, and cost-efficient! Call Clear Choice Technical Services at (512) 253-7000 and see our flexible leasing options! Enjoy more savings and benefits from our premium-class products and services!